I wore my favourite Led Zeppelin sweater (that I got this summer at Pull & Bear), and teamed it with my floral print leggings from Bershka. I bought my red sandals some time ago in Croatia and I really like their simplicity! 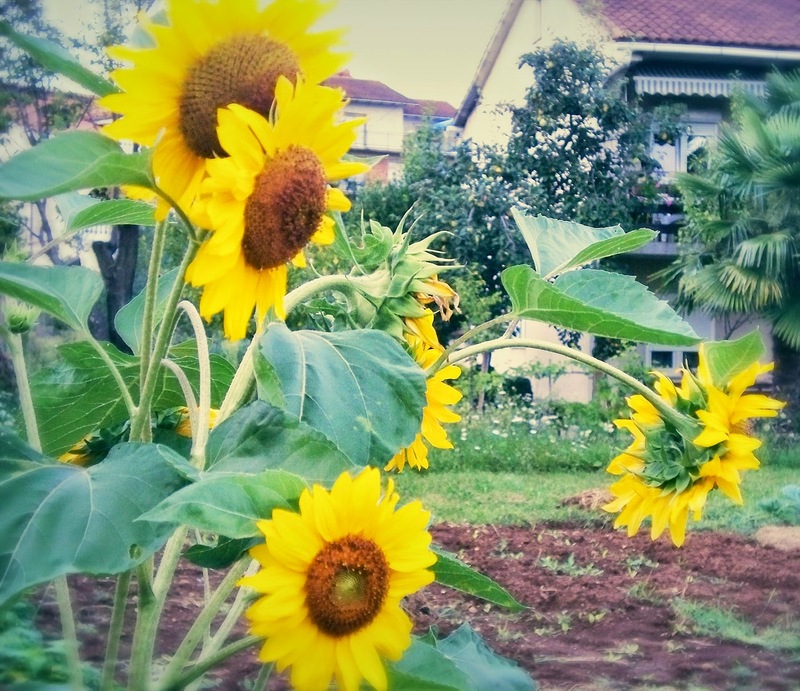 I took a walk in my garden and spotted this gorgeous sunflower plant, that was actually taller than me! Taj dan imali smo puno toga za obaviti, tako da nam je dan proletio i kada smo konacno nasli pet minuta za snimanje OOTD-a, sunce je vec bilo na zalasku i rasvjeta nam nije odgovarala...(zao mi je, zbog toga nema videa koji bi popratio ovaj outfit post). Ja sam nosila svoju omiljenu Led Zeppelin majicu koju sam kupila ljetos u Pull & Bear ducanu u Italiji. Ove tajice veselog printa su iz Bershke, a upotpunila sam styling asesoarom iz H&M-a i stosnim naocalama iz Zare. Prosetala sam se u svom vrtu i otkrila ovu prekrasnu stabljiku suncokreta, koja je bila i visa od mene same! Do iduceg posta, druzimo se na mom facebook-u i instagramu! hi Sonia, love the sweater. 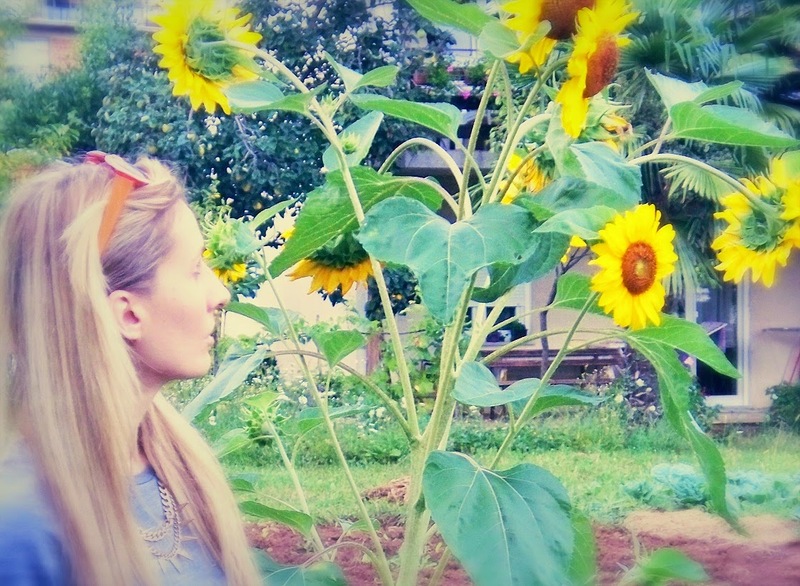 Looking cool and totally love the sunflowers too! great post. followed you @ GFC. Thanks for dropping in at our blog. Love your beauty tips, I wish you wrote in english too! This sweater looks so cool and these leggings are amazing! You rock! Love this outfit. Especially the Led Zeppelin jumper! Amazing look!! I hope you will visit my blog! 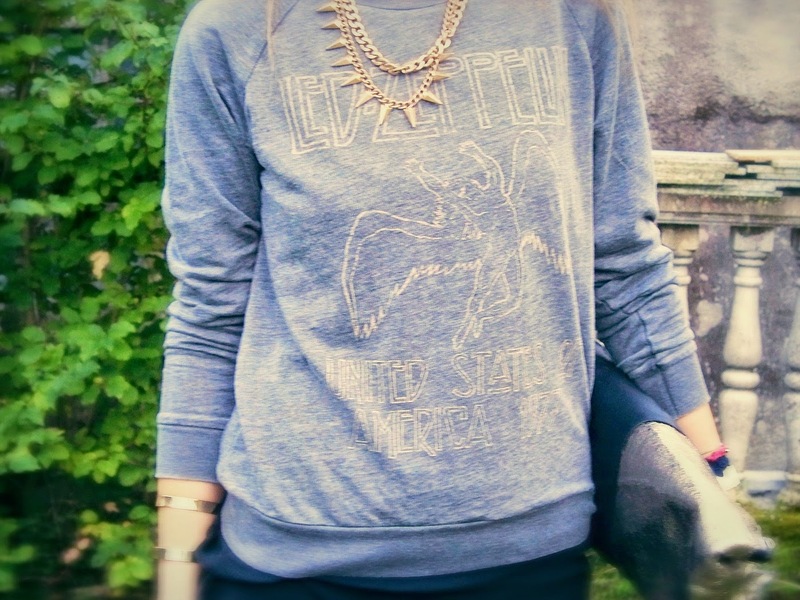 Love the Led Zeppelin sweater, looks great on you! 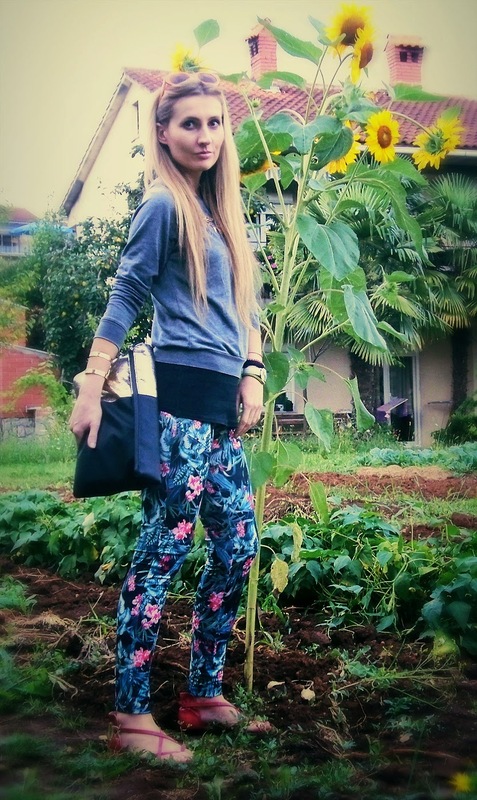 Lovely pants and hand bag looks realy cool. We can follow eachother yes, I'd like that too! Hvala Dimitrije, drago mi je da ti se svidja! Awesome leggings!! They look great on you. Outfit it's beautiful and also the necklace! And this sweater is pure beauty! Hello! Thank you so much for your sweet comment!